Not many places have a renowned thoroughfare that remotely resembles International Drive. Simply known as the I-Drive, International Drive is home to six of the globe’s most popular theme parks. These include Wet N’ Wild, Aquatica SeaWorld’s Water Park, Discovery Cove, SeaWorld, the Islands of Adventure and the Universal Studios. Over a hundred lovely hotels offer more than 42,000 room units for remarkable lodgings and accommodation at the International Drive. Shopaholics can shop till they drop with brand name and outlet stores including Designer fashion stores, all numbering more than 485. All that fun and adventure can leave you famished, but I Drive satisfies even the most discriminating tastes and the most intense hunger with a selection of over 150 eateries. Indulge your eyes with the most fantastic movies and entertainment in 3 enormous movie cinemas structured stadium-style plus 3 spectacular entertainment venues. Housing the country’s second-ranking convention center in terms of size, International Drive brings you a whole new experience for fun and enjoyable entertainment. Travel the length of International Drive in style and total affordability with the special I-RIDE Trolley Service. Sit back and relax as this proprietary transportation service takes away the driving and parking hassles that accompany driving your own vehicle around the area. Enjoy Orlando’s most exciting tourist destinations and attractions only here at I Drive. Rock Your Holidays at the International Drive! Hours of family fun are guaranteed here where you can indulge in every imaginable form of entertainment and adventure. There’s go-kart action, maritime disaster themes, miniature golf and railroad enjoyment, weird science and natural theme attractions. Tourists can also swim with the most intelligent marine creature, the dolphin. Or for that wild thrill, skate on a vertical ramp where you get to find out the extent of your courage and daring. A chartered helicopter ride takes you to lovely destinations. An indoor skydiving wind tunnel takes you through the experience of free fall. Do this without benefit of a plane, parachute or previous skydiving experience. Go through the extraordinary wind tunnel where free fall participants experience real training. Even 3-year-old children will be kept safe. Experience one-of-a-kind exhibits that range from themes on human anatomy, forensics science and investigation, and a most extensive collection of rarities and oddities that will help you see the beauty of the world we all dwell in. Stretching approximately 11.5 miles, International Drive has its northernmost tip going into the farthest reaches of the southern Orlando area. It is bounded by International Drive South that covers the northern segment of Osceola County, and the non-integrated southern and central segments of Orange County. Running parallel to the heart of International Drive are Universal Boulevard, Kirkman Road and Sand Lake Road. International Drive is composed of four distinct lanes from its north end segment to Pointe Plaza Drive and between the southern and northern intersections at Westwood Blvd. It has six lanes divided into two, from Pointe Plaza Drive to the Beachline Expressway at the east point and Westwood Blvd to this thoroughfare’s edge at the west segment. 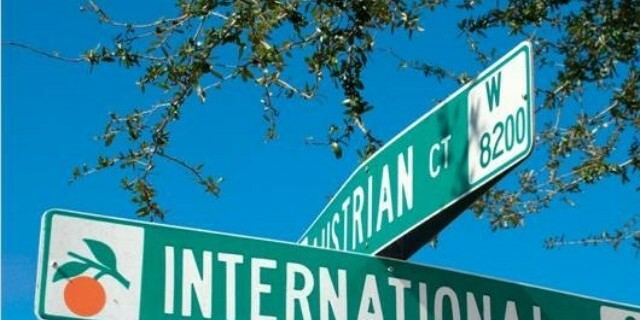 Enjoy International Drive no matter at which point you begin, and find yourself with more avenues of adventure, relaxation and entertainment than you can ever imagine.